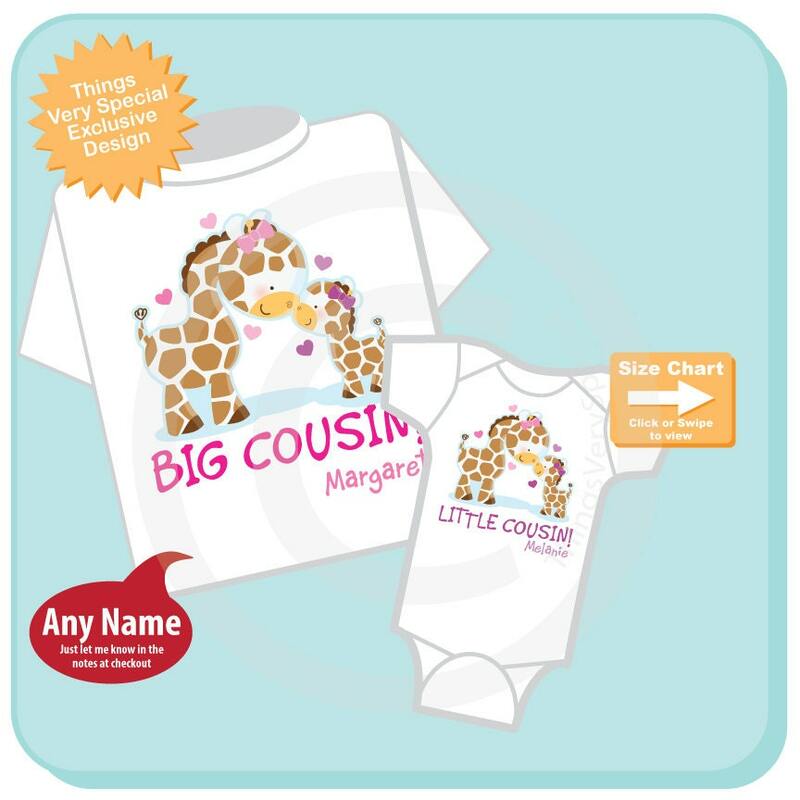 Super cute Set of two either tees or Onesies or one of each, Personalized Big Cousin Girl and Little Cousin Girl Giraffe tee shirt. If you need a different combination please contact me. Name of each noting which is big Cousin and which is little Cousin if you want it added. These are so cute and came very fast!! 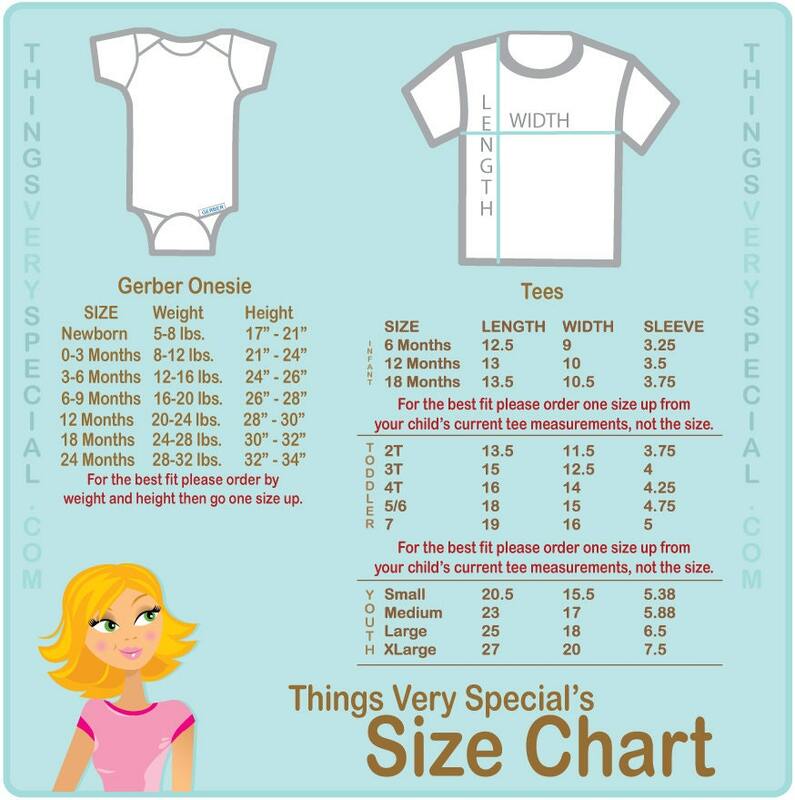 Sizing is a little small but the shop owner tells you to order up which is very helpful! Thank you!! This was exactly what I was looking for. The seller was able to make the order to my specifications. Even with going back and forth on details, item arrived two days earlier then expected. Love my order. Would recommend this seller anytime. I only wish I had more cousins.